A loan of $150 helped to buy a solar lamp with solar fan. Gilda works hard to support six children. She is married and has a business in the Philippines. 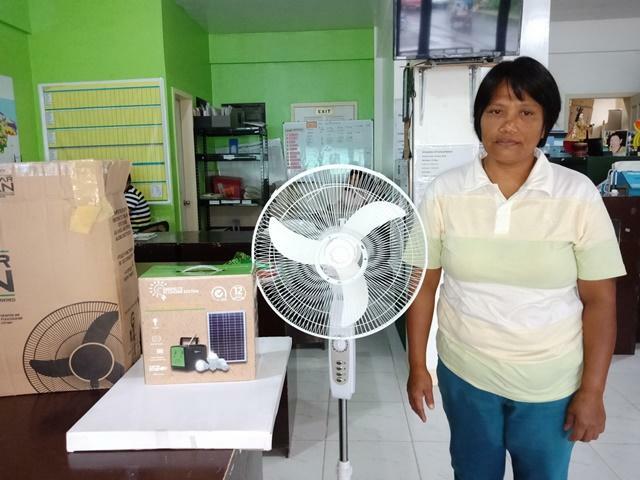 Gilda requested a 7,700 PHP loan through NWTF to buy a solar lamp with solar fan. She is getting the solar lamp with solar fan because she wants to provide her children with bright light when they study at night. Gilda is aware that by using the solar lamp with solar fan, she is not only saving money, she is also helping the environment, and reducing health hazards and risks to her family. It gives people access to efficient products that limit energy consumption and boost overall income levels.